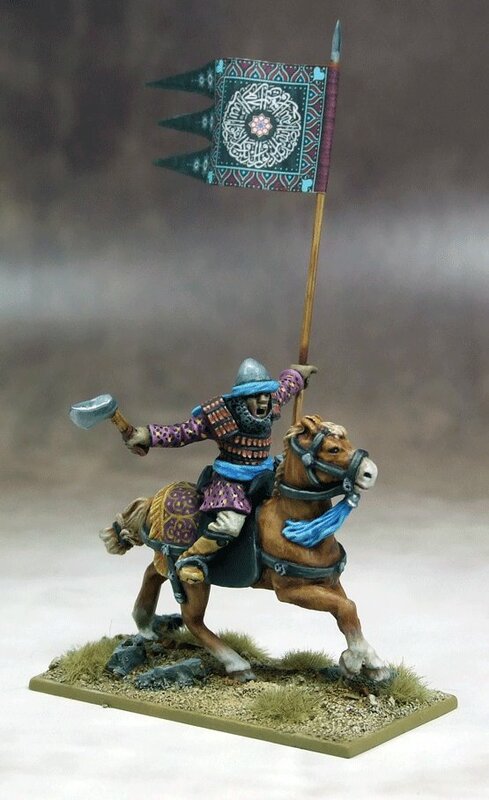 Saracen War Banner Bearer and LBMS Standard. Comes with plastic base from Renedra. Sculpted by Bob Naismith. Examples painted by Darren Linington.